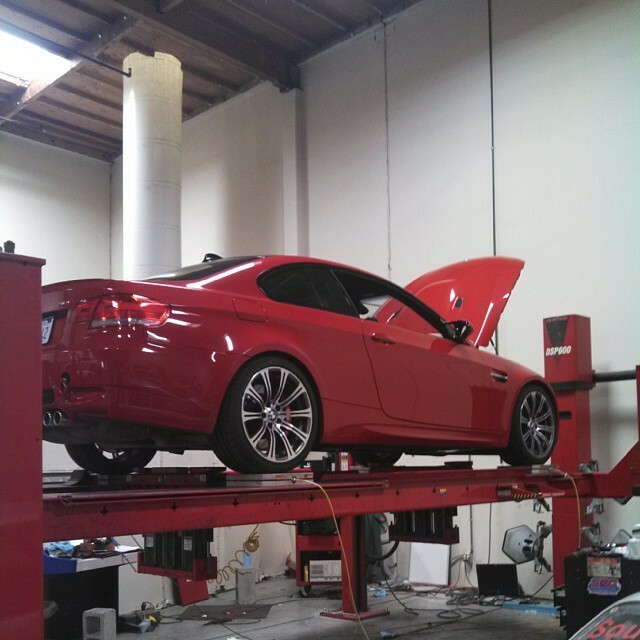 BMW repair center in Irvine, CA, and serving motorists in Orange County, CA. We provide dealer quality service without the dealer price tag! While many know us worldwide for our race car builds and race engines, we're also well known locally for our meticulous maintenance of daily drivers. 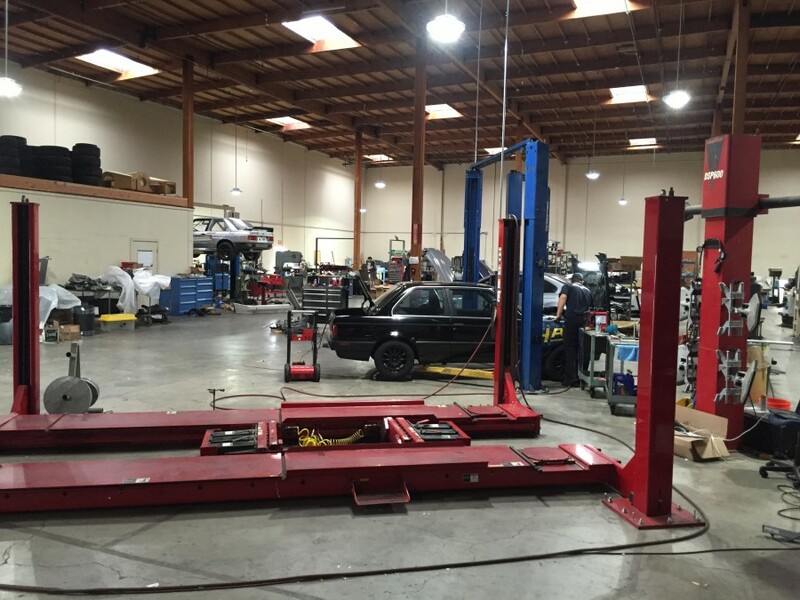 We've worked hard to become one of the top BMW service and repair centers in Orange County. In order to support both our racing efforts and maintain our customers vehicles we utilize a small group of people who are each experts in their field to help us accomplish both without sacrificing either. We have grown quickly in Irvine, California by meeting the high demands of our customers at a price that is reasonable. Racing always breads an economic mindset that we take with us when we do maintenance on our customers cars, the amount of money our expertise can save our customers is what keeps them coming back. We are for those who expect more from the people working on their vehicles, we are detail oriented and uncompromising. While many BMW repair and service shops in Orange County pay their employees on a flat rate basis, our employees are well paid on salary. That means that when we work on your car we have no reason to rush through the job to make extra money. Our BMW technicians are thoroughly trained to do quality work and to spend the extra time that is necessary to ensure your car is fixed right the first time. BMW is our specialty. 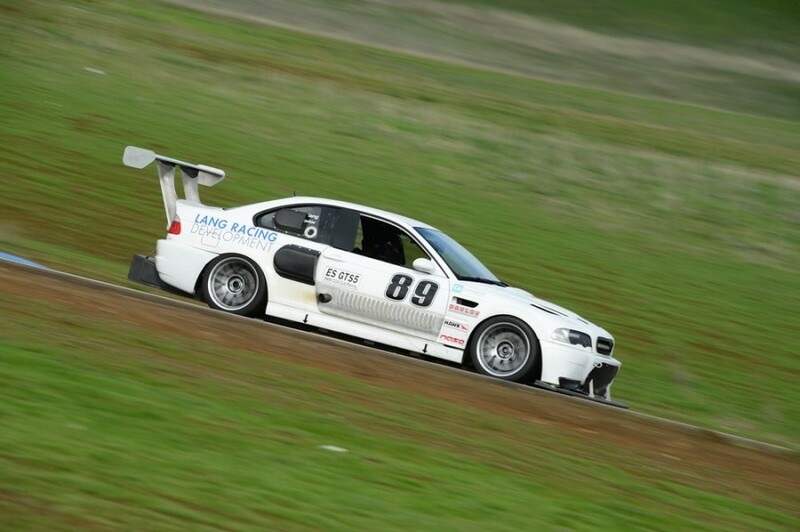 Because of our race experience we've become well known for our expertise in the the BMW "M" models. We're not a typical brake and oil change shop, we take on jobs that even the dealerships do not have the expertise to handle. 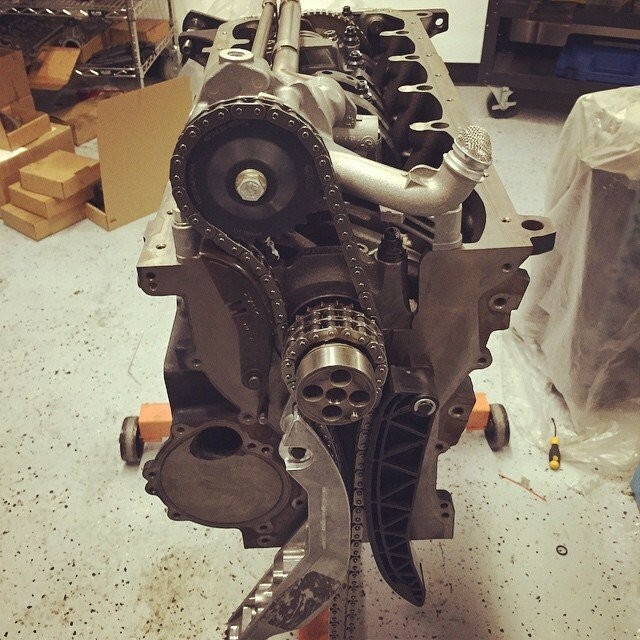 We do complete engine rebuilds on the most complicated powerplants BMW has ever made and that expertise allows us to competently and quickly troubleshoot your vehicle. We utilize the same diagnostic scanner and programming software that is utilized at the dealer. While many other shops use less expensive software we feel that having full dealership capability is a must to fully service the brand. Andrew is without a doubt the most knowledgeable BWM expert I have met. 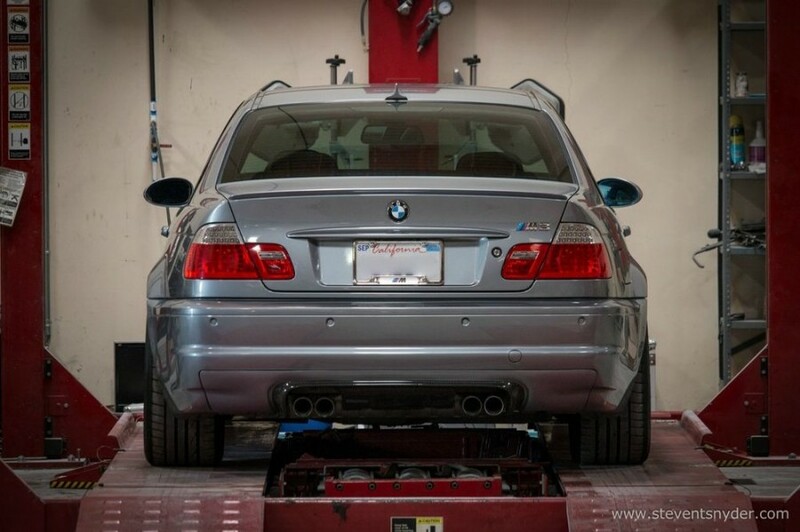 I took my E46 M3 to him to address some issues with my Vanos unit, as well as a pesky oil leak that multiple other shops had misdiagnosed and been unable to address. Throughout the process, he always kept me updated with extremely detailed invoice estimates with meticulous notes that you rarely see at other shops. Within a few days, he was able to identify all the issues that needed repairs and had the car back up and running like it was new again. His pricing is fair, and the quality of his work is superior to his peers in the area. It's quite a relief knowing I have found a trustworthy expert that I can count on going forward for my maintenance needs. I took my e46 325i into Andrew's shop to upgrade the suspension, have some transmission work done, and fluid changes. The car was finished when promised and I am very happy with the work. My car handles amazing and the drop is perfect. I love driving my car again and come up with excuses for myself to take it out for a spin. I highly recommend Lang Racing. I dealt with Andrew, who is really cool. He makes great recommendations, very skilled, trustworthy and easy to talk to. I needed to swap my exhaust out and heard about Andrew through a forum member. He's a great guy and had great communication before,during,and after the job was done. He would explain to me exactly what he thinks should be done and my options before he does anything. I really appreciate that type or service because I hate being left in the dark with some shady inadequate work. We got under the car after he finished and showed me everything he did, even checked out a few things i asked. he's a very trustworthy mechanic, which from my experience is very rare nowadays. Also, judging by the crazy fabrication work he's done to the e30 race car in his shop, he clearly knows what he's doing. I will not hesitate to hit him up again for more work in the future and I'll be sure to send my BMW buddies his way! Found these guys on Yelp. Needed an alignment on my Z4 with modified suspension. Since they looked like true car guys, I decided to check em out. I'm glad I did. Solid service on state of the art machines. Didn't need aggressive track day specs, just a mellow street setup to make my tires wear evenly. Now my car tracks straight and drives solid. Met Andrew and Calvin. Very cool guys. I'm definitely going back again. Proverbial if I could give 10 stars. The best. Technical and customer service, professionalism. Super fair pricing. Shop is run by Andrew Lang the owner, cars are serviced by him so a conversation with him about your car is first hand knowledge. Seems like he is always working specially on off hours so it's quite nice and not unusual to be able to stop by and visit your car, see it on the lift after work, on the weekends, etc. 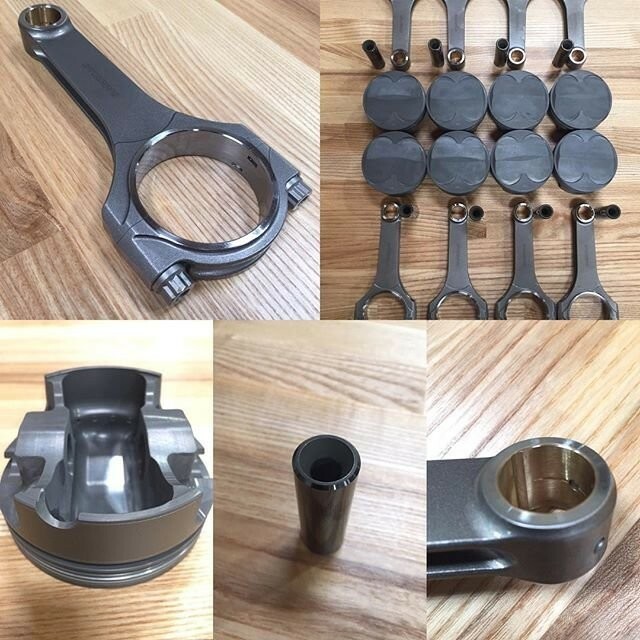 If it's a custom job Andrew will work with you, he has fabricated numerous fittings,wiring (Circuit assembly is the 'sister company' and does cable and wiring so wiring up your car is a piece of cake), etc to make an application work for me. Specializes in sports cars, BMW M3's in particular but will work with you or figure out how to get the job done. For example after a Porsche specialty shop did not find my oil leak, I took my 74 Euro Carrera to Andrew, walked him through the crankcase seal repair and received the car back leak free finally. My E46 M3 is so specialized and unique and I could never have done it the way it was accomplished with any other shop. I really can't say enough about Lang Racing. Great shop and excellent work. Andrew got my engine timing fixed and did a great job with the alignment/corner balance. When I need my rod bearings done I'll be bringing the car back to Andrew. Awesome service! I took my E46 M3 to the guys at Lang Racing a couple of weeks ago because it was developing some rod knock. I'm so glad I took it to them because they knew right away it was on its way to a spun bearing and immediately started to drain the oil and then pull the pan to inspect the bearings. Sure enough one of the bearings had just started to spin. They gave me the option to either replace the rod bearings or to pull the whole motor and exchange it with one of the inspected S54 engines they keep in stock. They specialize in these cars so they were able to make it surprisingly affordable to replace my engine with a refreshed one and give me a credit for my S54. I couldn't believe it but it only took a weekend for them to swap the engines and I was all back on the road. The SMG worked better than it ever had before when they reprogrammed my car and re-taught the SMG with their dealership level diagnostic computer. I'll never take my car anywhere else.